Before the night was over, Petty helped raise a grand total of $116,500 to directly benefit and send critical funds to the Paralyzed Veterans of America. The Paralyzed Veterans of America has been advocating for the needs of veterans with spinal cord injury or disease since 1946. The organization provides free programs and services such as adaptive sporting opportunities, job placement, VA benefits assistance and more, all free of charge to any veteran. The Petty family have been longtime supporters of the efforts of Paralyzed Veterans to support our nation’s veterans following catastrophic injury. 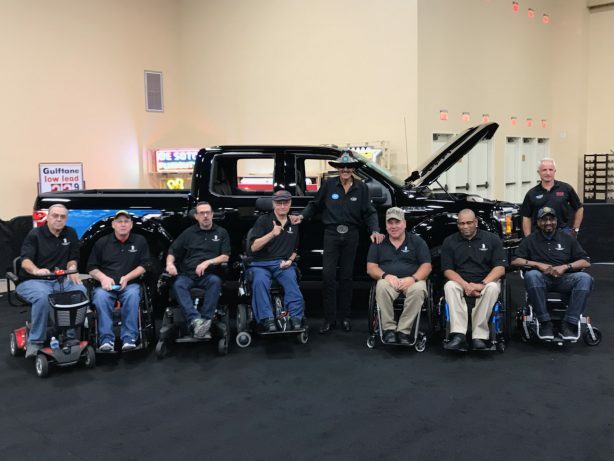 The Petty’s Garage Warrior Edition truck went for a final bid of $100,000 with an additional bidder donation another $10,000 to the PVA. Finally, Petty’s iconic hat was auctioned off for $6,500 for a total of $116,500.